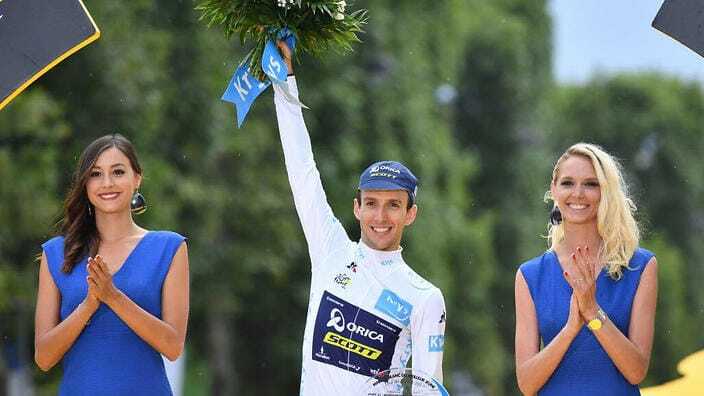 Tour de France 2018: Who Can Win It? Sidenote: If you’re new to pro cycling, the Tour de France is the biggest cycling race in the world. 21 stages and over 3000km of racing across some of the most beautiful landscapes in France. Oh, and it’s also the hardest sports in the world. Imagine riding your bike for 4 to 5 hours every day for 21 days, at race pace. Okay, back to the question. The answer is – only a handful. Out of all 7.6 billion people on earth, only 5 to 6 people stand a chance to win the Tour de France. If you’ve been following pro cycling for some time, you’ll probably realise that it’s the same group of cyclists every year. In some years, there will be 1 or 2 new names that join this exclusive group. Other than that, it’s the usual suspects. Let’s take a closer look. It’ll be interesting to see how much Froome has recovered from his win at the Giro d’ Italia in May. Trying to win 2 Grand Tours in the same calendar year is a very big ask. The last rider to do so was Marco Pantani in 1998. 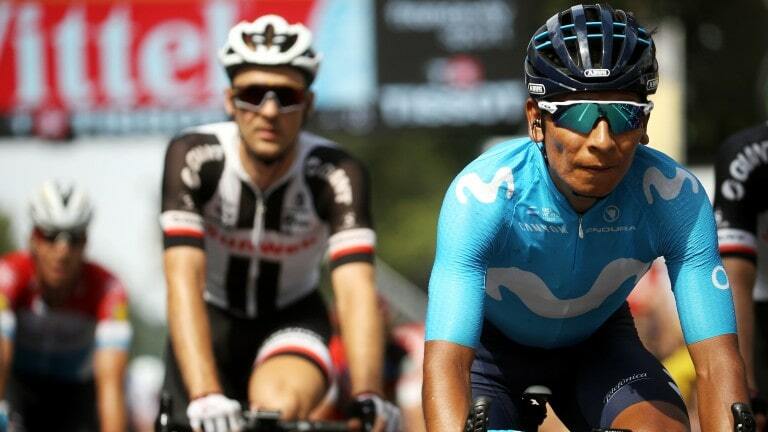 Nairo Quintana and Alberto Contador tried in recent years but failed spectacularly after winning the Giro d’Italia. But if there’s anyone who can pull it off, it’d be Froome. 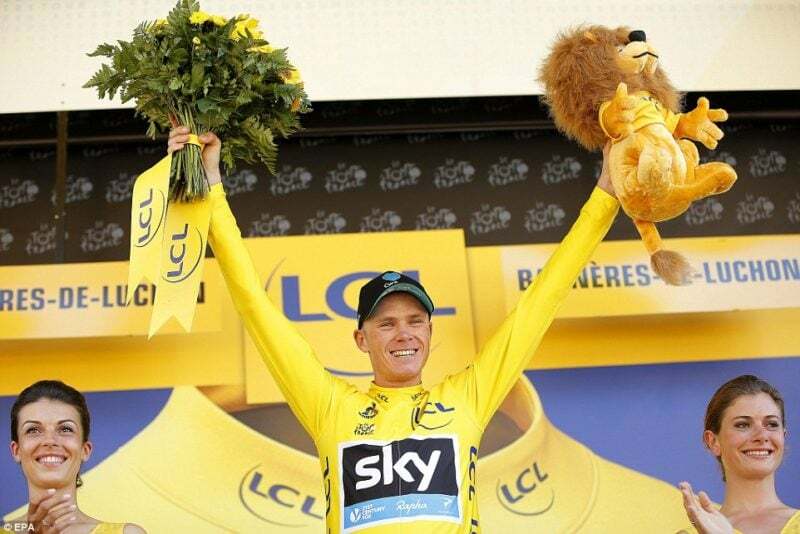 With a strong Team Sky and his experience in winning 6 Grand Tours, he would be a strong favourite to win. 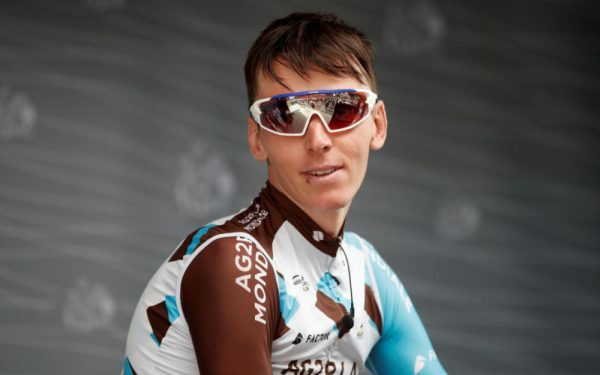 Prediction: Expect to see him join the exclusive 5 times Tour de France winner club which includes Bernard Hinault, Eddy Merckx and Miguel Indurain. 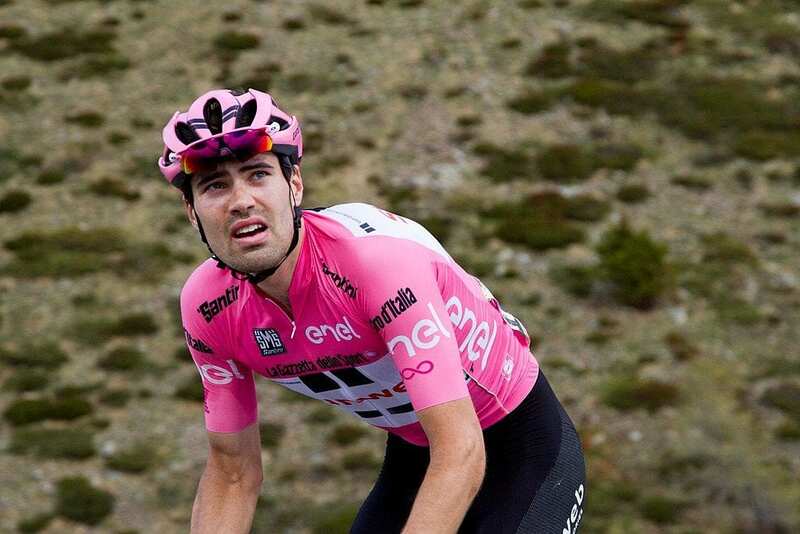 As with Froome, it’s an unknown how much Dumoulin has recovered after finishing second in the Giro d’Italia. Among all the contenders bar Froome, Dumoulin looks to be the strongest. Exceptional in time trials and very strong in the mountain defensively. If Dumoulin is less than a minute behind all his rivals before the last ITT on Stage 20, expect him to claw back significant amount of time. Prediction: Expect to see him make the podium. 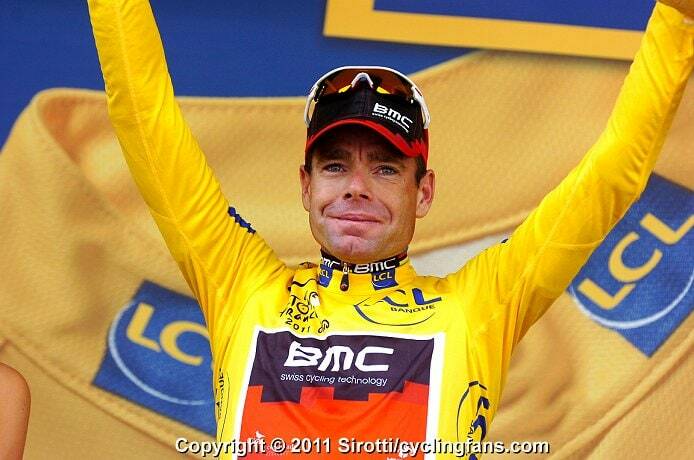 He’s the great Australian hope after Cadel Evans. Porte has been knocking the door for a few years now. 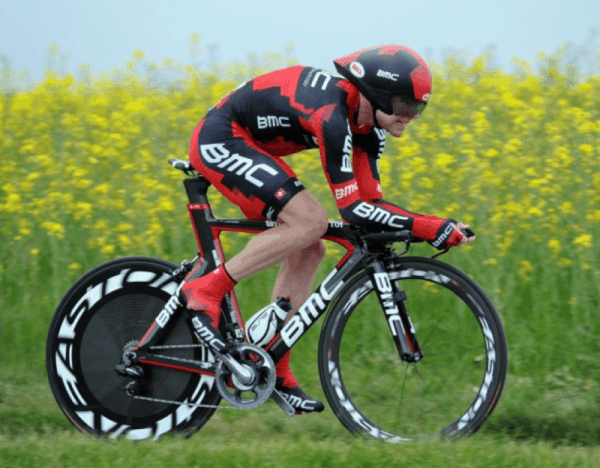 He’s got his breakthrough after moving to Team BMC as the outright leader. 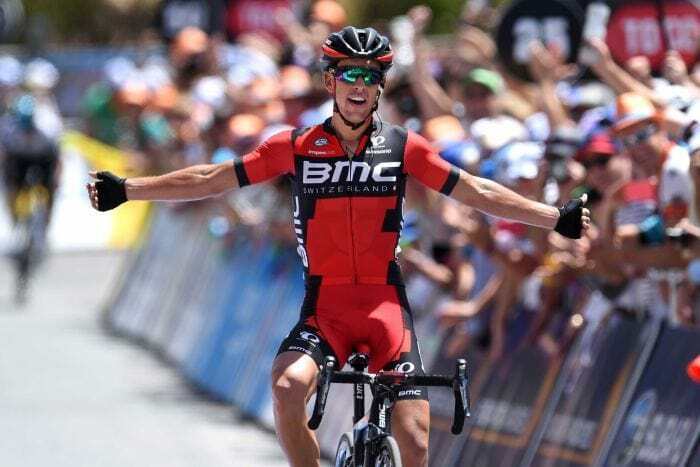 Crashed out last year during Stage 9’s technical descend, he’ll be back for his shot at glory this year with a stronger and very experienced BMC team. Similar to Froome, Porte is an exceptional climber and a very strong time trialist. Prediction: Finally make the podium. Update: Stage 9 – Richie Porte crashed out after 7km of the stage on a nervous day for the peloton who will be riding through 15 sectors of cobblestones. Second place in 2016 and third place in 2018, he’s the great French hope of winning since Bernard Hinault last won in 1985. An exceptional climber and descender, the only chink in his armor would be the 2 time trial stages and the tricky cobblestone stage to Roubaix. 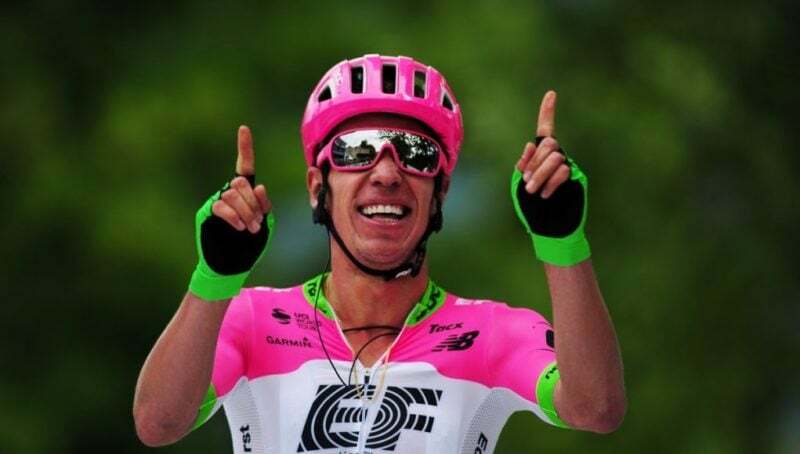 Last year, he was pipped into third place in Stage 20’s ITT by Rigoberto Uran. So, it’ll be interesting to watch if he’s made any improvements in this discipline for this year. Aside from Froome, Nibali is the only rider in the current peloton to have won all 3 Grand Tours. Besides being a strong climber, his exceptional bike handling skills will come in handy especially during the descends. We’ve seen in recent years that a Grand Tour can be won or lost during descends. 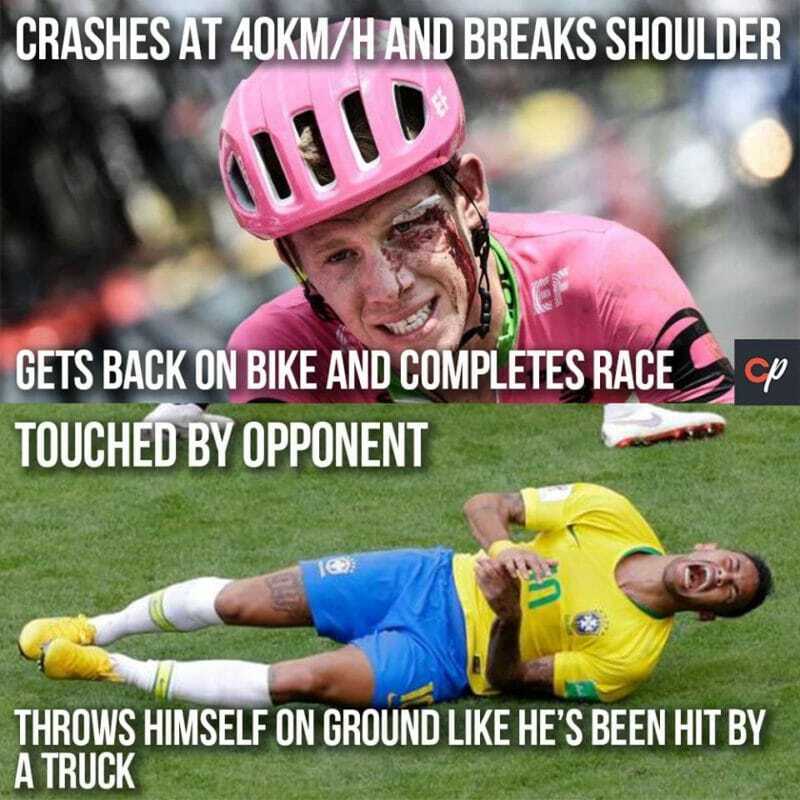 For example, Froome in 2018 and Kruijswijk in 2016 Giro d’Italia. Update: Stage 12- Vincenzo Nibali crashes out with a fractured T10 vertebra after his handlebar caught a fan’s camera strap. here aren’t any teams that deploys this approach in recent years and I’d be watching closely how this pans out. A very explosive climber, he’ll need to gain enough time on the high mountains and successfully defend his lead during the last ITT on Stage 20. Anything less than that would see him being pipped by the others who are a much stronger time trialist. Runners up last year after pipping Bardet on Stage 20 ITT. Uran is a strong climber and has won a mountain top finish last year. With his results from 2017, his team will be laser focused on repeating the same feat again this year. Update: Stage 11 – Uran abandoned after failing to recover from his injuries from the crash on the Stage 9 cobbles. Okay, so why only them and not the rest? Unknown to many new cycling fans, there are actually many competitions within the Tour de France itself. The 4 most obvious ones are the jerseys. 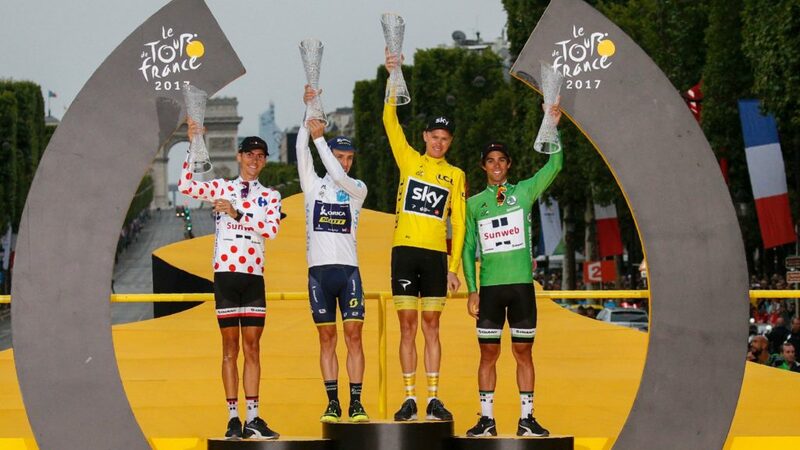 The winner of the Tour de France is the rider who wins the General Classification, or in short, GC. It’s the rider who has the lowest accumulative time across all 21 stages and finish in Paris. This article will focus mainly on the GC winner. But before that, let’s have a look at the other competitions. This is the young riders’ general classification for those below 26. It was first started in 1975 and has been competed every year except between 1989 to 1999. The white jersey winner is usually seen a potential GC winner in the future. The last rider who won the white jersey and yellow jersey in the same year was Alberto Contador in 2007 and Andy Schleck in 2010. Schleck won the white jersey in 2010 and was awarded the yellow jersey after Contador’s win was disqualified. The winner of the green jersey is the rider who collects the highest cumulative points across all stages. Sometimes, it’s also considered as the sprinters competition. In recent years, the points classification competition favors a sprinter who can also climb. The pure sprinters will collect points when they win a sprint finish but they lose out on the many intermediate sprint points which are usually placed after a climb. And that’s why riders like Peter Sagan won it 5 times between 2012 to 2016. He’s a big favorite to win it again the 6th time this year, equalling the record held by Erik Zabel. Warren Barguil who won this jersey in 2017 was 10 in the overall GC, over 9 minutes down from the GC winner. 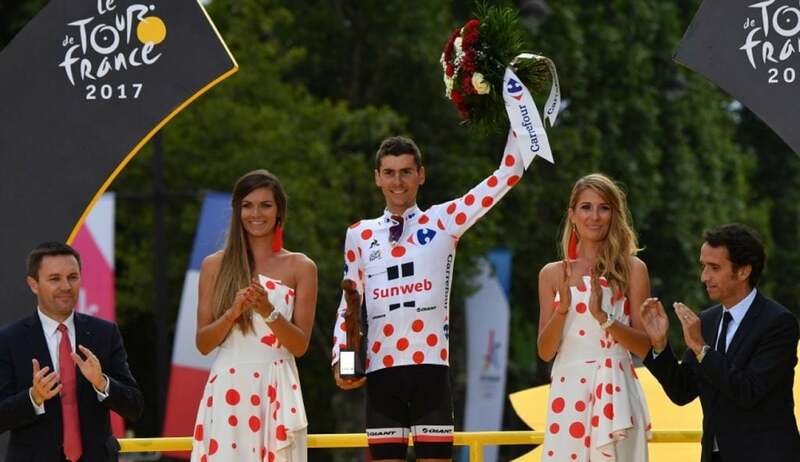 The winner of the Polka Dot jersey is the rider who collects the most points across mountain summits. It’s also called as the King of Mountain competition. But don’t be confused that he’s the best climber in the race. In some cases, he’s not. He might not the best but he’s definitely the most consistent climber who’s in the mix during every mountain stages. On some stages, the GC teams will let the Polka Dot jersey wearer to go into the breakaway if they’re not a threat to their GC positions. In any races, you need to be in it to win it. The same goes for the Tour de France. This isn’t any cycling Grand Fondo. Not only you’ll need to have a team, your team also needs to be invited to participate. All 18 World Tour teams (the highest division in pro cycling) are automatically invited together with 4 wildcard teams who are invited based on the race organizer’s discretion. They’re usually French pro-continental teams, which is a rank lower than the World Tour. So, if you’re not a professional cyclist riding for any of these teams, then tough luck. 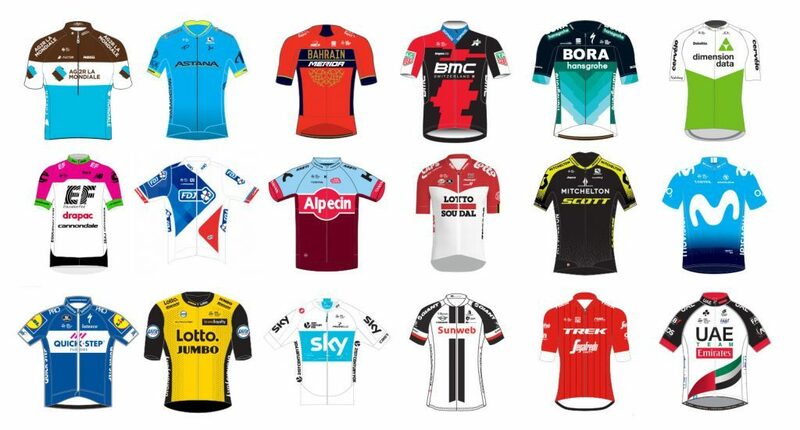 Okay, let’s assume for a moment that you’re riding for one of these 22 teams. You’re still miles away from winning it. 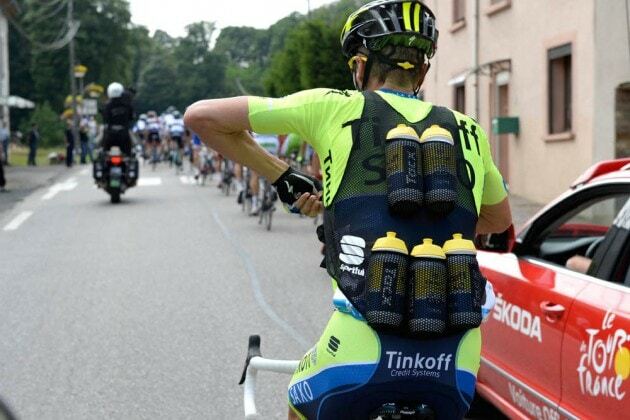 Teams usually have 20 to 30 riders on their roster and only 8 make it to the Tour de France. Prior to 2018, there are 9 riders but the organizer has since reduced it to 8, citing safety reasons. Among the 8, the person who stands a chance to win is the leader. The other 7 teammates, or what the pro-cycling fans call domestiques are there to help him win it. Having a team that is laser focused on winning the GC is the first step. It’s not wise to split the domestiques up chasing for various competitions. They play a very important role in setting the pace, closing down attacks, bringing food/water for the leaders and providing emergency mechanical assistance to the leader in case the team cars can’t get there in time. Some teams like Team Sky and Team Movistar come to the Tour de France with 2 leaders, one as a backup. So, you’ve made it this far and you’re now the team leader for Tour de France. What stands between you and winning at Paris is 21 days of racing. It’s a known fact that the Tour de France won’t be won on the first week, but it definitely can be lost there. As the Tour progresses, you’ll start to see many of the main contenders abandoning the race due to various reasons. Crashes and illness being the top 2. The first week is usually flat and designed for the sprinters. But don’t be fooled. They’re littered with dangers everywhere. There are 178 of the best cyclists in the world, all fresh and at the form of their life looking to impress and hopefully win a stage or two. The first week is definitely not for the favourites. All they need to do is to stay safe, rubber side down and away from the wind to conserve their energy. The same applies to all their teammates. Get through them safely in one piece and wait for the second and more importantly the third week and hold nothing back there. You’ll see the teams competing for the GC riding near the front but not at the front. They’d probably be sitting between 10 to 20 wheels deep at most. While sitting further back saves more energy, it also increases the risk of crashing or get caught up by a crash. Preventing illness is among the teams’ top priorities off the bike. Simply put, you can’t win the Tour de France if you’re ill. The riders go through harsh conditions everyday especially dealing the heat. With the high intensity they do day in day out, this will eventually weaken the body immune system and make them vulnerable. The body can’t just stand up with the grueling requirements, day after day. And one day it’ll shut off. If they’re having a bad day during the third week, they can bid goodbye to their chances of winning or even the hope of finishing at Paris. Don’t be surprised if many abandon due to fever. All the riders’ food and drinks are prepared by their own chef. Team cars and buses are sanitized several times a day to minimise the risk of infections. Physical contact are also kept at a minimum at all times. 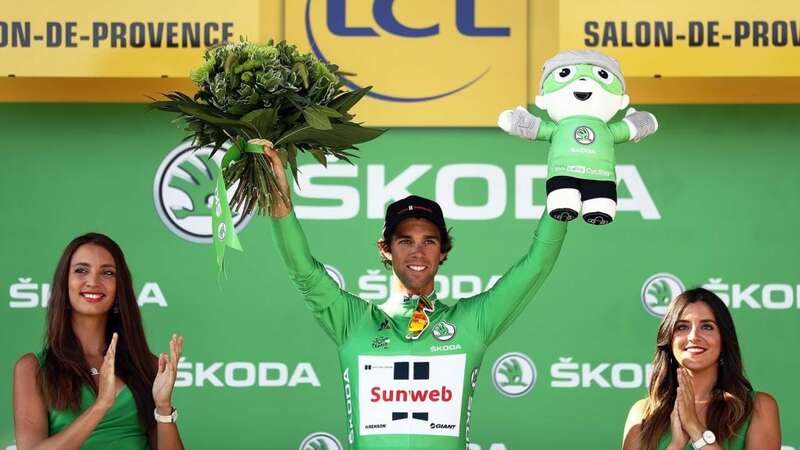 Update: Stage 4 – Michael Matthews, a contender for the Green Jersey abandons after suffering from vomiting and unable to eat. Modern pro-cycling is very specific in terms of body physiology and it’s less likely that we’ll see a rider who excels in the Spring Classics winning the Grand Tours. If you look at the past winners of the Tour de France, you’ll quickly see 2 types of winners. The high mountains are where they thrive. They go on the attack and gain time on their rivals. They’re very explosive on the steep climbs which usually come during the third week and when everyone is fatigue. They can put in multiple, big accelerations to get away from the group and then ride at tempo to the finish. In time trials, they’re good enough to defend the time gained during the mountains to maintain their GC position. Recent Examples: Chris Froome, Alberto Contador, Richie Porte and Lance Armstrong. For this group of riders to win, there needs to be a lot of time trials kilometers involved. Anything above a total of 60km time trial will increase the chances of this group winning. An exceptional time trialist can put it anywhere between 3 to 6 seconds into his direct rivals who are weak in this discipline. That translates into 3 to 5 minutes time gain, depending on the TT route profile. All they do is ride defensively in the mountains and not respond to big accelerations by rivals who are better climbers. They will ride at their own pace, enough to maintain a time gap where they’re capable of clawing back during the last TT stage, which usually happens between stage 18 to 20. 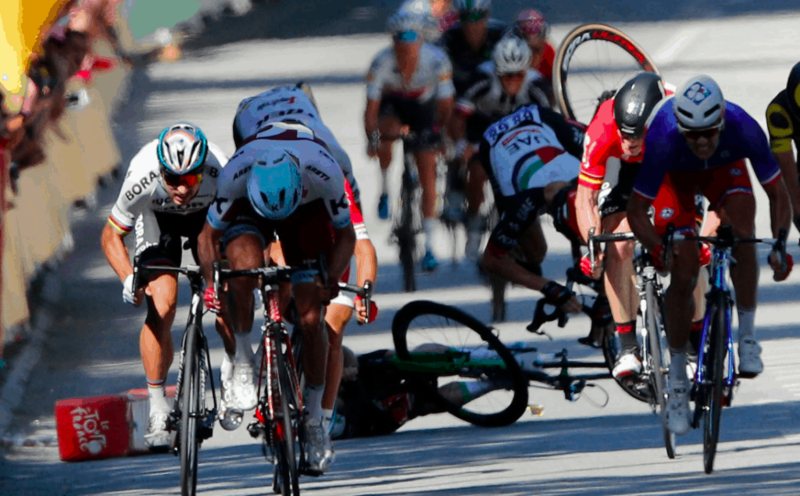 What about the other guys – the sprinters and classics specialists? Well, they don’t stand a chance of winning the GC. However, they do stand a chance to win other competitions, or perhaps a few days in yellow. Update: Greg van Avermart, a Spring Classics specialist wore the yellow jersey for 8 days in 2018. You can’t win it if you don’t cross the finish line at Paris. That’s why staying safe, being healthy is so important. Traditionally, the last stage into Paris is a procession until the last 15 to 20km when the sprinter teams get down to business. Winning the sprint at Champs Elysees in Paris can put a young sprinter’s career on an upward trajectory. 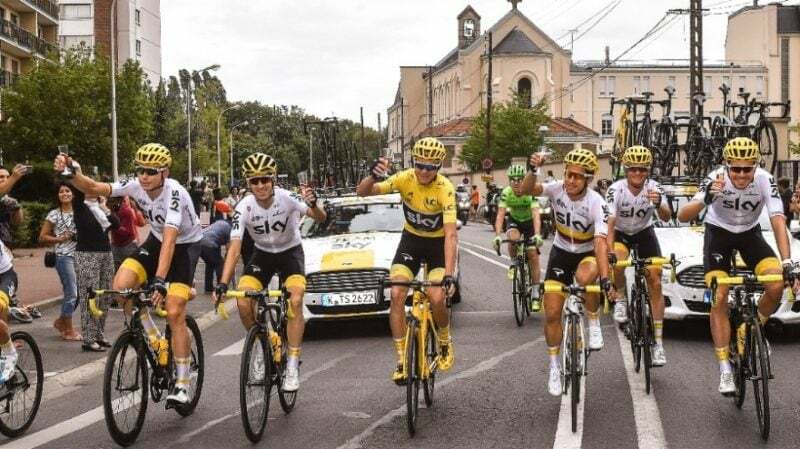 Before that, the yellow jersey can be seen sipping a glass or two of wine, taking photographs while riding their way into Paris. No one will attack them anymore, even though they can. If they do, they’ll be making a lot of enemies within the peloton. It’s one of the many unwritten rules in cycling. Once reaching Paris, nothing is safe yet until the last 3km. The yellow jersey needs to stay upright and together with their direct rivals until the last 3km. If there’s a crash inside the last 3km, everyone who gets caught up will have the same time as the group they’re previously in. ….and until they cross the finish line. By the time you’re reading this, you’ll see that only a handful of them stand a chance to win. And if everything goes as planned for them, then you’ve your winner.